Big Bear is just ready for you to explore! How nice do the words “three day weekend” sound? They sound wonderful to us. 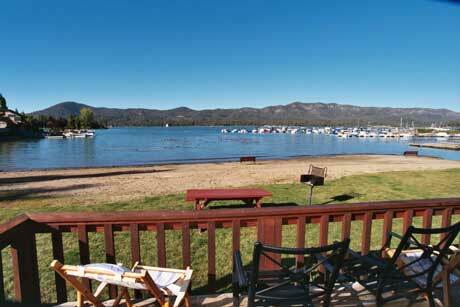 Big Bear Lake is going to be bustling this weekend with people looking to get the most out of an extra day off, away from the hectic city to relax in the cool Southern California mountain air. This is the last big hurrah of summer, and the calendar of events around this time certainly shows it. And the best thing about the beginning of September is that Big Bear Lake Oktoberfest is coming up soon. While the weather is still nice and people are out for the weekend, Big Bear Moose Lodge 2085 presents the Fawnskin Fall Classic Car Show 2012, this Saturday from 8 AM to 3 PM! This will be a great opportunity to view some classic cars, special interest cars, street rods, and more. The show is free to the public, so make sure you come and check out all of the sleek cars that will be on display at the Lodge! Your musical tastes are covered this weekend at Big Bear Lake! The greatest Rolling Stones tribute band in the world, Jumping Jack Flash will be playing live at the Performing Arts Center on Saturday night, so you can rock and roll the evening away. If the Rolling Stones are not your cup of tea, how about something lighter? Jim Curry returns to the Bear Cave Event Center with his tribute to John Denver and his folk and country music. You’ll be amazed at the way the spirit of John Denver’s words still comes through during the show. If you blend some rock and roll sounds with a little folk to soften it up, you will find Surreal Neil and Super Diamond, the Neil Diamond tribute band, ready to take the stage! They will be performing at the Big Bear Discovery Center Amphitheater, as part of the Music In the Mountains series. The arts and crafts are also going to be on full display this weekend. Hand crafted gifts, homemade foods, and live entertainment are all going to be on display at Fall Fest, being held at The Convention Center at Big Bear Lake! Be inspired by what all of your friends and neighbors have been doing in their free time. If their free time was in the 18th century, they may be doing some of the crafts you will find at the 29th Annual Big Horn Mountain Men Holcomb Valley Rendezvous! This is a historical encampment using hunting and living skills you would find in early America, up to about the 1840’s. Guests are invited to visit all weekend long, as well as the next weekend. These are just some of the events that are going on this weekend, in addition to all of the hiking, bicycling, fishing, and shopping you can do at Big Bear Lake! We have some outstanding cabins and hotels to reserve all weekend long, but they are going fast, so you better hurry. This might be the last official weekend of the summer, but that just means that fall is right around the corner, with a whole new list of activities to do. Have a great week! Gallery | This entry was posted in What to see and do and tagged Autumn, Big Bear CA, big bear lake, cabins, Classic Car, Discovery Center, events, Fall, family, fishing, hiking, history, jim curry, Jumping Jack Flash, Labor Day, live music, music, Music In the Mountains, Oktoberfest, performing arts, rolling stones tribute band, summer, Surreal Neil and Super Diamond, Tribute, vacation, What to Do. Bookmark the permalink.